Lanston Type Co.'s rich history dates back to 1887 when Tolbert Lanston received his first patent for a mechanical typesetting device. 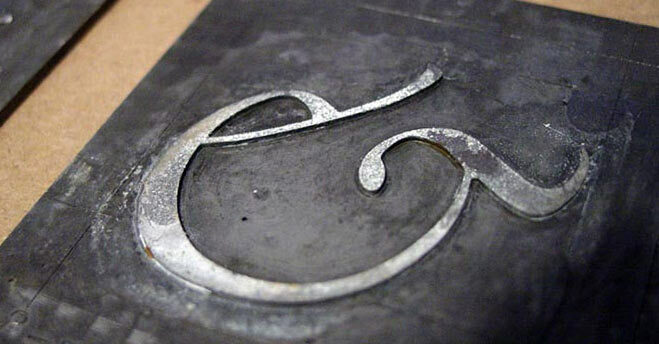 Later refinements led to the Monotype casting machine and the emergence of the Lanston Monotype Company as one of the most renowned type supply companies in the world. The Monotype caster was revolutionary and along with other automated typesetting machines helped to usher in a new age of printing technology. Typesetting had, until this time, remained the same as Gutenberg's first hand-set movable type. In the late 1800s, Tolbert Lanston licensed his technology to an English sister company and became a major international force. Lanston grew rapidly with America's pre-eminent type designer, Frederic Goudy, holding the position of art director from 1920-1947. The Philadelphia-based Lanston Monotype eventually parted ways with its English counterpart. English Monotype became simply known as Monotype from that time forth. Lanston was acquired by American Type Founders in 1969. After a series of other owners, the company found its way to master printer Gerald Giampa, who moved it to Prince Edward Island in 1988. During its time of transition, Lanston continued supplying the American market for monotype hot metal type needs until January 21, 2000, when the majority of Lanston's machinery and historical records were tragically destroyed by a tidal wave. Giampa was one of the earliest developers of PostScript fonts. After the loss, he focused on digitization to an even greater extent. Under his stewardship, Lanston's classic faces were digitized in a style that was true to the sources, which are the brass and lead patterns from which the metal type was made. In late 2004, Lanston has completed another journey back to the United States to come under the care of a new steward: P22 type foundry. Despite few artifacts surviving, P22/Lanston has sought out original specimens and even some patterns to digitize additional fonts and expand character sets of the Lanston Collection. The expansive library of types and ornaments all hearken back to the hot metal era and strive to keep the history and usefulness of these fonts available to today's designers. The original Giampa's Lanston History Tour website has been preserved for historical purposes.